Dreamer Selene Saavedra Roman worked a shift from Houston to Mexico and back. When she got home, she was arrested and threatened with deportation. Update: After this story was published, Selene Saavedra Roman was released from detention on Friday evening, reports NBC News. "I cried and hugged my husband and never wanted to let go," she said in a statement released by her lawyer. Selene Saavedra Roman didn't want to fly to Mexico. 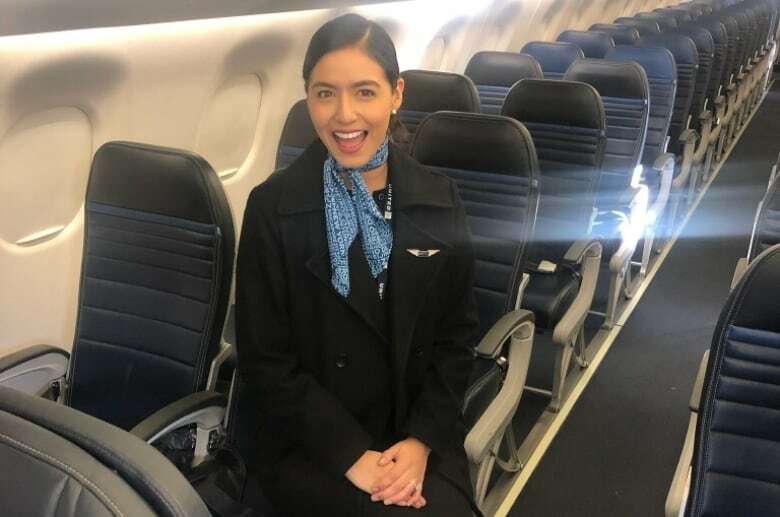 The 28-year-old Texas flight attendant repeatedly told her bosses at Phoenix-based Mesa Airlines that she could not legally leave the country as an undocumented immigrant under the Deferred Action for Childhood Arrivals (DACA) program, says her husband David Watkins. But her bosses insisted that as a registered U.S. flight attendant, she would be safe. So she worked the shift, flying from Houston to Mexico and back on Feb. 12. When she got home, she was arrested by U.S. Immigration and Customs Enforcement (ICE). "She was literally in her flight attendant's uniform when they arrested her," Watkins said. "The last text message that she sent me was, 'Help I'm being detained. Please contact a lawyer.'" She's been held at a detention centre Conroe, Texas, ever since, and is facing possible deportation to Peru, a country she doesn't even remember. Saavedra Roman was brought to the U.S. by her parents when she was three years old and has lived in Texas ever since. 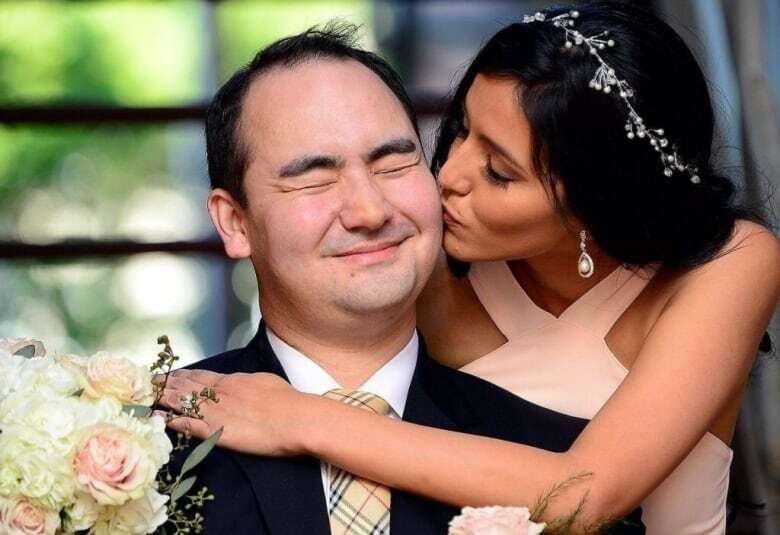 She attended Texas A&M University, where she met Watkins, a U.S. citizen, and the pair married in April 2017. She was registered under DACA, the Obama-era initiative to protect immigrants brought to the United States as children, and was working towards applying for full citizenship, Watkins said. She has a social security number, pays taxes and is legally permitted to work in the U.S. But none of that seems to matter now. "When it first happened, I talked to her and I said, you know, 'You should get parole very soon ... because I'm a U.S. citizen. You've had DACA since 2012. You pay your taxes. You have a job. You have a social security number,'" Watkins said. "But the administration in charge of her processing — I don't know how to phrase this properly — but I don't know if they're really regarding that information or that background in her processing whatsoever." ICE said in a statement that Saavedra Roman didn't have a valid document to enter the country and is being detained while going through immigration court proceedings. U.S. Citizenship and Immigration Services (USCIS) — the agency tasked with overseeing DACA — declined to discuss the case. But the agency says on its website that those who travel outside the country without a special document allowing them to do so are no longer covered by the program. The Trump administration sought to end DACA but was blocked by litigation. New applications have been halted, but renewals continue for hundreds of thousands of immigrants already enrolled. Saavedra Roman's lawyer, Belinda Arroyo says the USCIS has threatened to revoke Saavedra Roman's DACA status and deport her. She said she blames the airline and the "quasi-legal" status of DACA recipients for what happened, and says her client shouldn't have to suffer for her employer's mistake and Congressional inaction. In a joint statement with the Association of Flight Attendants, Mesa chief executive Jonathan Ornstein apologized to Saavedra Roman and asked U.S. authorities to release her, arguing it's unfair to continually detain someone "over something that is nothing more than an administrative error and a misunderstanding." But that's not enough action from the airline, says Watkins. "They have done nothing. And I mean literally not one thing," he said. "The only thing that they have done is not fire her." Watkins said he's been trying to resolve this situation quietly for the last month. But out of desperation, he decided to go public with the story. 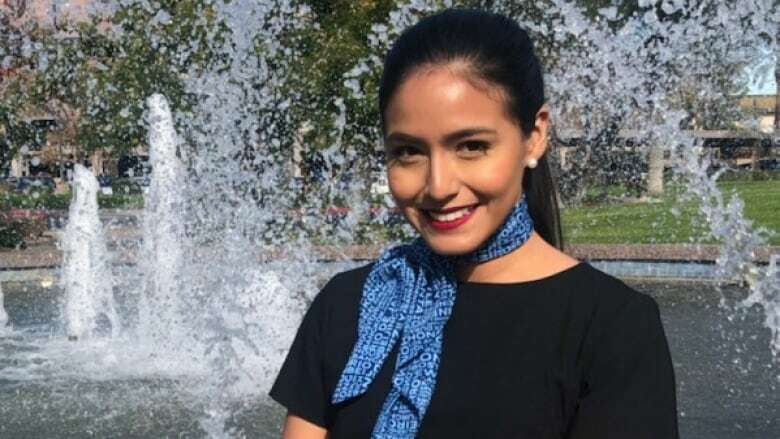 The Association of Flight Attendants has posted an online petition calling for Saavedra Roman's release. It had received more than 14,400 signatures as of Friday afternoon. Former secretary of state Hillary Clinton tweeted about the case, calling it an "awful story" and urging people to sign the petition. Watkins says his wife is quickly losing hope. "I had a conversation with her this morning. I said, you know, 'The story is blowing up. People are giving it traction. You have a lot of support. You have a lot of love.' And she honestly just sounded distraught and worried and depressed," he said. "And I said, you know, 'Even if you get deported to Peru, I'm going to come with you. It doesn't matter. So don't get down, you know. Even if the worst possible situation happens, we will still be together.'" Written by Sheena Goodyear with files from The Associated Press. Interview with David Watkins produced by Sarah-Joyce Battersby.